Know a tea lover with a sweet tooth? 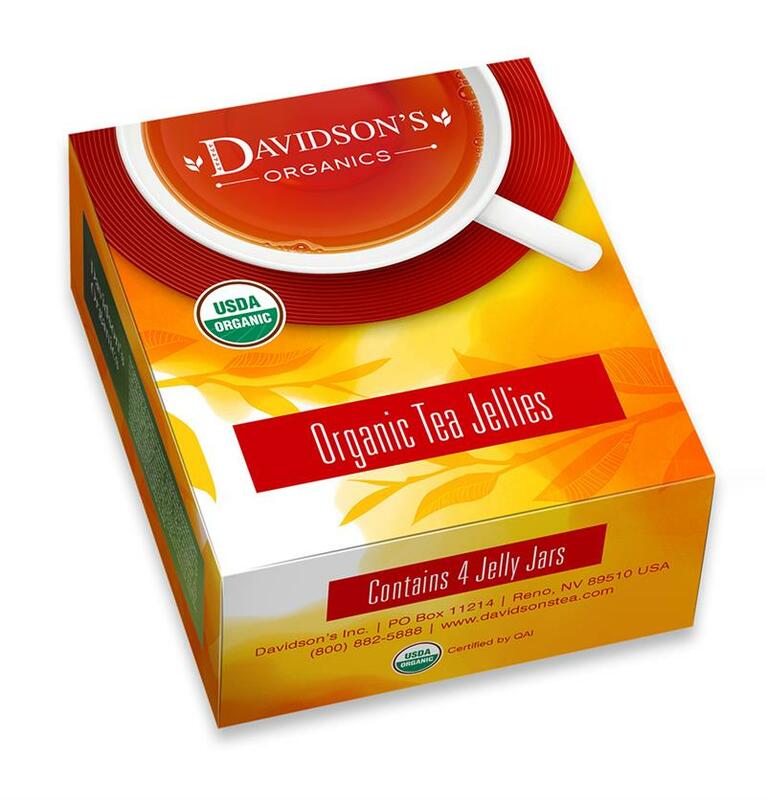 Treat them to Davidson's Tea Jelly Gift Set, the perfect gift for any special occasion. 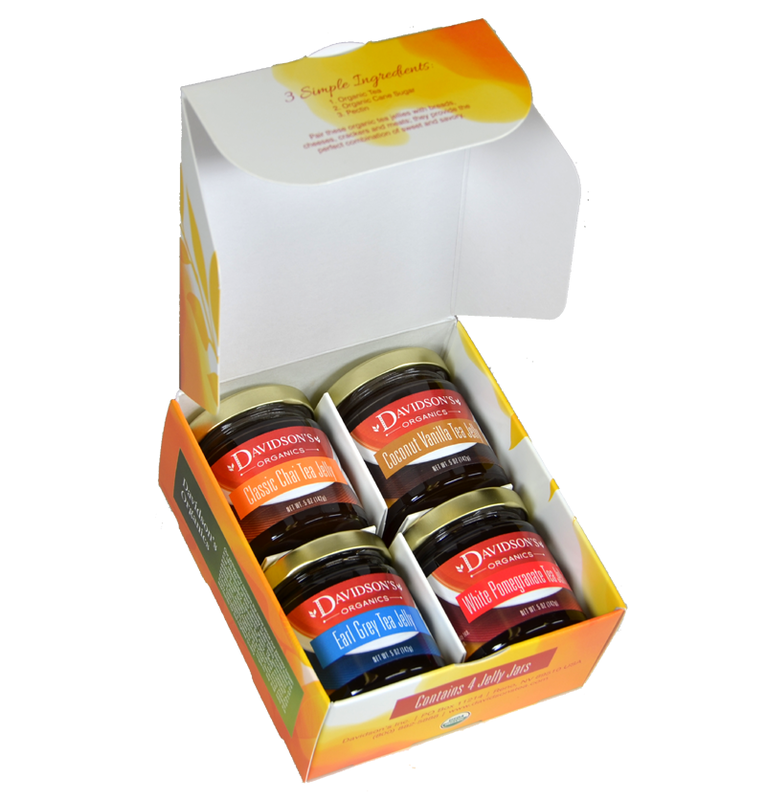 This set contains four assorted tea jelly jars, including the Classic Chai Tea Jelly, the Coconut Vanilla Tea Jelly, the Earl Grey Tea Jelly and the White Pomegranate Tea Jelly. 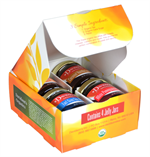 Davidson's exclusive oragnic tea jellies are the perfect complement to breads, pastries, crackers and cheeses.